The Bountiful Feast - Asian Pears is a photograph by Susan Maxwell Schmidt which was uploaded on July 1st, 2017. 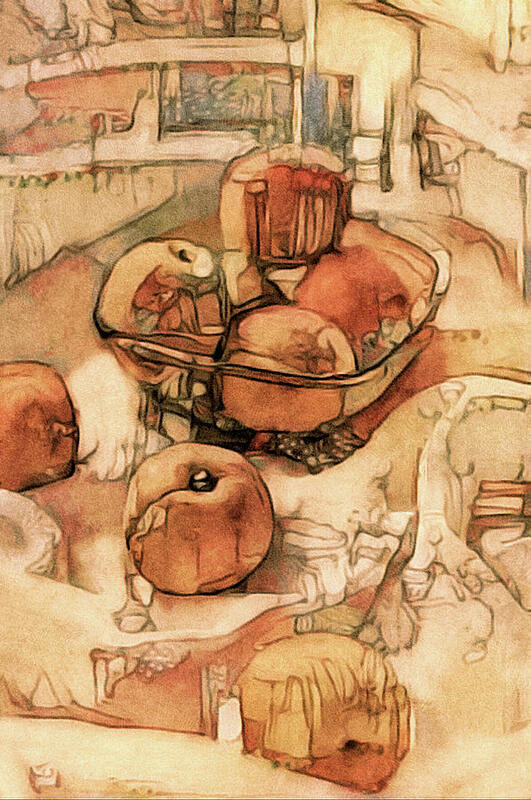 "The Bountiful Feast - Asian Pears"
A photograph of a bowl of delectable Asian pears turned fine art painting in earthy hues of orange, brick red, sage green and yellow. Part of my Bountiful Feast collection. Please visit my Be Very Very Still art gallery to see the other two pieces in this series. Congratulations for winning third place in the ROAR group's "visual Feast - Food and Drink in Photography and Digital Art" contest! Nicely done!